Industry 4.0 represents the latest revolution in the manufacturing industry. It has the potential to transform production, design, supply chain, logistics and several other processes of manufacturing. But the question is, when this technology is capable of transforming the manufacturing workplace, why is it still not in full swing? The technology may seem to offer limitless opportunity, but there are some major hurdles in its implementation. AI helps to eradicate these potential challenges that manufacturing companies face before implementing this transformative technology. 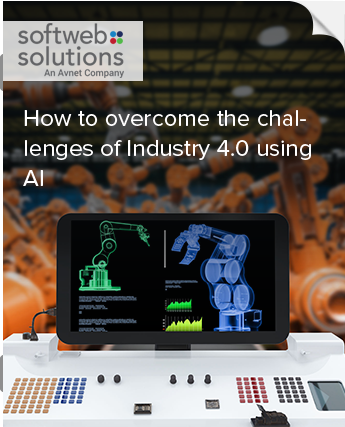 In this whitepaper, we will discuss some of the key challenges to Industry 4.0 initiatives, how AI can effectively address these issues, along with some real-life use cases.